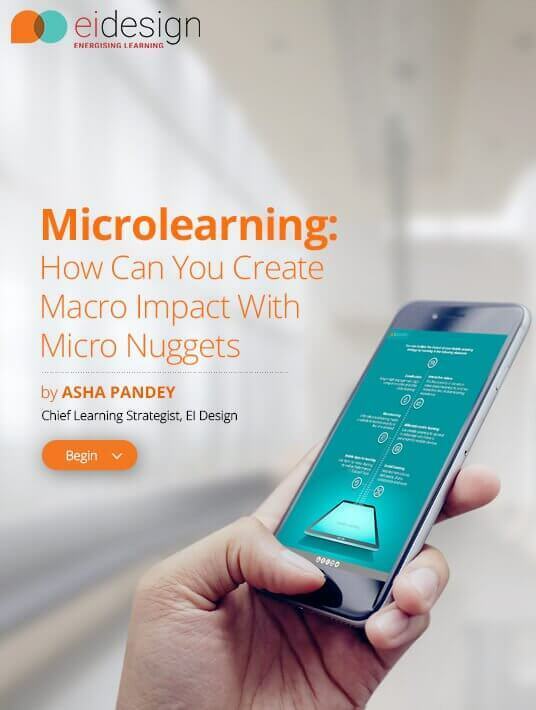 In this eBook Microlearning – How Can You Create Macro Impact With Micro Nuggets, I provide several insights on microlearning and why this should be a significant part of your learning strategy. I have structured the eBook into 7 sections that would address the complete spectrum of your queries. The Section on Application of microlearning is the richest section that shows you how exactly can you use it for Formal training as well as for Performance Support (just-in-time learning aids). Towards the end of the eBook, I have provided details of my recent Webinar Recording on How Can You Use Microlearning To Improve ROI. Through a series of questions and answers, the eBook Microlearning – How Can You Create Macro Impact With Micro Nuggets addresses the typical questions you may have as you look at adopting microlearning as a significant part of your learning strategy. I also share several examples that will help you understand how you can use a microlearning-based approach for your varied corporate training needs. What is the relevance of microlearning today and why is it the flavor of the season? Microlearning sounds a lot like Just-In-Time learning of the past. What are the differences? What are the benefits that microlearning offers (to learners and to business)? Why is microlearning gaining momentum? How can you determine if microlearning will work for you? How can you use microlearning in corporate training? When should you not use microlearning? How should the microlearning be designed? What are the formats in which microlearning can be deployed? Can microlearning impact the ROI? What more is possible with microlearning? Section 1 - Relevance Of Microlearning Today. This section outlines why microlearning is the flavor of the season. Specifically, how can it help you offset challenges of limited and dwindling attention spans. It dives deeper into the other challenges that Learning and Development teams face and how microlearning can come to the rescue. Section 2 - Microlearning Basics. This section begins with the definition of microlearning and then takes a closer look at associated queries (how micro can you go with it, when should you not use it, is it same as Performance Support and so on). Section 3 - Microlearning Benefits. This section outlines the benefits that microlearning provides both from learners’ and business’s perspective. It also highlights how microlearning empowers the learners of today who have significantly different expectations on how they want to learn. Section 4 - Is Microlearning Right For You? This section outlines how can you determine if microlearning would work for you. Section 5 - Application Of Microlearning. This section outlines various applications of microlearning across the spectrum of your corporate training needs. This rich section features several examples to give you a real feel of the impact that microlearning based training will create. Section 6 - Design And Deployment Of Microlearning. This section outlines the process that is typically used to create microlearning based training. It also showcases the range of several high impact, rich media formats that you can pick from. Section 7 - Impact Of Microlearning And What More Is Possible. This section outlines the eventual gain (positive impact on the ROI) that microlearning will bring. It also provides a list of possibilities that you should integrate into your microlearning strategy and increase its impact further. 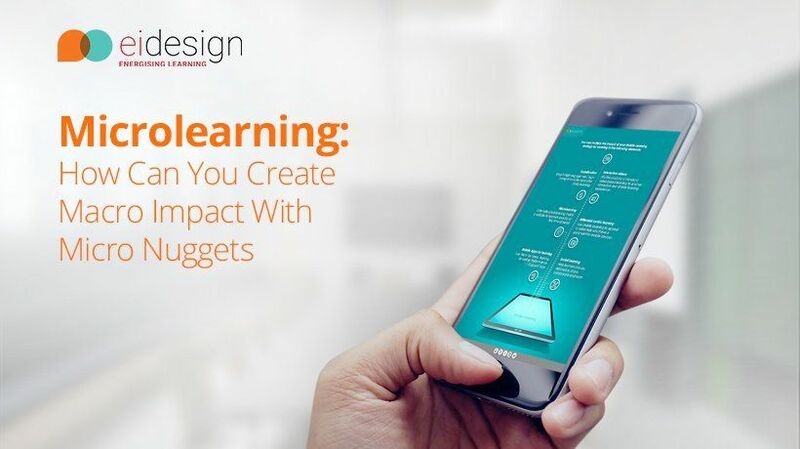 Do download this free eBook on Microlearning – How Can You Create Macro Impact With Micro Nuggets and see the compelling reasons on why you should integrate microlearning into your learning strategy. Various examples showcase how exactly can you use microlearning-based strategy to double the impact of your existing strategy. You will understand how microlearning can help you achieve higher learner engagement, better completion rates, and higher application of the acquired learning on the job. 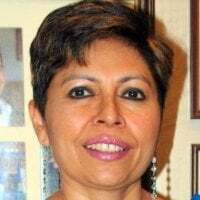 If you have any specific queries or would like to see how you can use microlearning in your organization, do contact me at apandey@eidesign.net.